...The proper name for a group of goats is a trip. ...A domestic male is sometimes called a billy; a female, a nanny. ...If bottled raised, goats will become bonded to their caregivers. ...Goats were domesticated around 7000 B.C. ...Domestic goats are found worldwide. ...Pygmy goats are a goat species, not a breed. 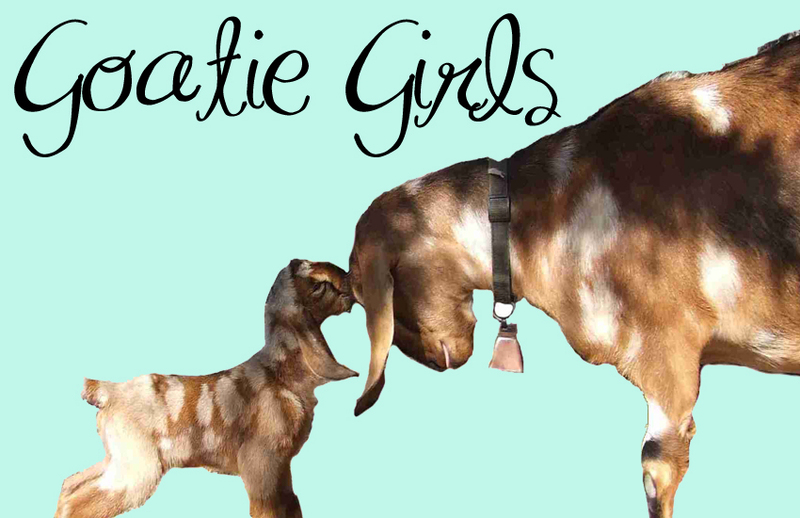 ...There are six recognized dairy goat breeds in the United States: Alpine, La Mancha, Oberhasli, Nubian, Saanen, Toggenburg. ...Each breed of dairy goat gives a different tasting milk. Oberhasli goats give milk that tastes closest to cow's milk. ...Anything you make with cow's milk, you can make with goat's milk. ...Goat milk has a higher butterfat content than cow's milk. ...Hearty seafarers, goats were kept by sailors for milk. ...Ancient Greeks used goat skins to make vellum and parchment. ...Goats are depicted in Paleolithic art. ...True wild goats are found throughout southern Asia. ...The Ibex (another wild goat species) populates Europe, Asia and Africa. ...Matriarchal herds of goats consist of 5 to 20 individuals. ...Goats are browsers, not grazers. ...Goats are extremely picky about what they eat. ...Goats DO NOT eat tin cans. ...Goats have only bottom front and side teeth, the top jaw does have a large back molar for crushing things. ...Goats have rectangular eyes - this allows them to see very well in the dark. ...Goats contribute to desertification in Africa. ...The Rocky Mountain "goat" is not a true goat; it is closer to a sheep. ...Goats use straw to scratch their backs. ...Cashmere comes from the undercoat of the Asian Kashmiri goat, with the average annual yield per animal being less than one pound. ...Mohair comes from the Turkish Angora goat. ...Most mohair now comes from Angora fleece raised in the U.S., with the average annual yield per animal being four pounds. ...Goats catch colds and can succumb to pneumonia. ...The fat molecules in goat milk are five times smaller than the fat molecules in cow milk. Goat milk is broken down in the stomach in twenty minutes; it takes an hour for the stomach to break down cow's milk. ...Goats are great as stock animals. Goats are easier on the trail than other pack/stock animals. Properly conditioned, a goat can carry up to 25%-30% of its body weight.